One of my friends is a plastic injection mold designer, but he has used his training for all kinds of applications, including CAD landscape design software. In fact, he even has loaded his house plan, complete with landscaping, as the background on his smart phone. Smart guy! 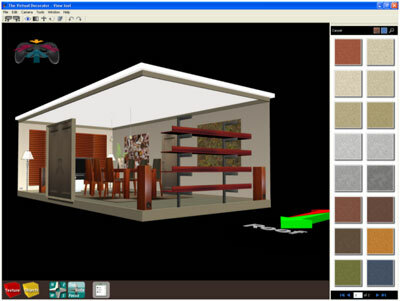 Because he is using CAD design software that was developed for mechanical applications, not house or landscaping, he had to actually create the doors, windows, sidewalk and plants. Most better applications include libraries of shrubs, grass, rocks, paver bricks, patio decking materials and just about anything else you might want to include in a landscaping project. Some of these libraries are quite complete, and some even have up-to-date inventories from leading home building suppliers, such as Lowe's or Home Depot. I'm not sure, but it would not surprise me if you could even order from the program. My friend told me that, when he build his deck, he had included every single detail and was able to have everything pre-cut to exact sizes, so all he had to do was pick up the materials and basically assemble them. That approach eliminates a lot of guesswork, trips to the hardware store, and certainly reduces waste. Instead of ordering a little bit more than he needed, just to be sure, he got only what he actually needed, with almost no cutting and no scrap. The 3D graphics in better landscape design software programs is simply stunning. You can get a very realistic impression of how things work together before buying. With a few clicks of the mouse you can try different fencing, change the trees or shrubs, add patio stones, insert a fire-pit and so on. This is a great feature that opens up all kinds of creative possibilities. It is surprising how inexpensive some of the better programs are. You can spend as little as $30, which will not give you much at all, and all the way up to $2500. Fortunately, for around $100 you can buy a very nice software program that will do anything that a homeowner could ever want. The next step up is the professional type applications that are meant for larger landscaping companies. One great feature is the way the various components are integrated. For example: if you make a change to the side of the deck, the change is made in every other view and level. This is a great time saver and is one of those features normally found in higher end programs. Anyone serious about landscaping their property should take a serious look at the different CAD landscape design software programs on the market. You will have a much more congruous plan and save yourself money and wasted effort. "You know Dad, I've been thinkin', one is a lot more than zero!" my son, Thomas, age 5.